Singapore's push towards greater productivity has won its key architect and spokesman an award for good policymaking. Finance Minister and Deputy Prime Minister Tharman Shanmugaratnam was named Finance Minister of the Year by Euromoney magazine, a global banking and finance publication. He will receive the award today in a private presentation at the World Bank and International Monetary Fund (IMF) meetings in Washington. 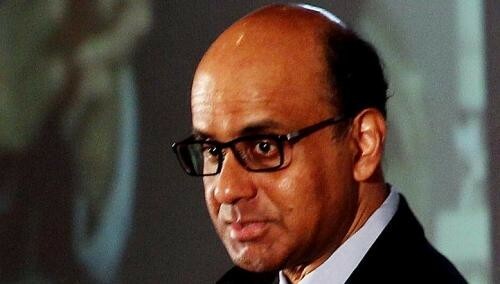 The accolade recognises Mr Tharman's "over-arching role" in shifting Singapore's economic growth model from one dependent on an ever-expanding working population to a steadier platform of increasing productivity, Euromoney said yesterday. The shift is taking place even while Singapore's status as an innovative trade and financial services hub to diversified export markets is being maintained. "Not content with... relying on low taxes to attract foreign direct investment and business... (he) has spearheaded a push to find new sources of economic growth, while building a social safety net to address discontent over strained infrastructure and rising living costs," it added. "There is universal consensus that there is no better policymaker than (he) to push through this domestic agenda, while actively crafting policies to ensure the city-state maintains its relevance amid competition from such rivals as Kuala Lumpur, Shanghai and Dubai." In glowing reports, Euromoney detailed Mr Tharman's successes and challenges in helping Singapore move towards more sustainable and inclusive growth. Describing him as "energetic" and "reformist", the magazine also lauded Mr Tharman's accomplishments outside Singapore. He is the first Asian to chair the IMF's International Monetary and Financial Committee and was seen as a contender to lead the IMF itself. Mr Tharman has also earned acclaim for his prescient and wide-ranging warnings that the region needs stronger and timelier reforms and better regulatory coordination, it added. With degrees from the London School of Economics, Harvard University and the University of Cambridge, he "is regarded as one of the region's smartest finance ministers". Top Singapore bankers and economists joined in the praise of Mr Tharman, who is also chairman of the Monetary Authority of Singapore (MAS) and sits on the board of the GIC. "His keen grasp of monetary policies and global economics is well known and respected, not just in Singapore and Asia, but in the international community," said DBS Bank chief Piyush Gupta. In a wide-ranging interview with Euromoney, Mr Tharman spoke on issues including how Asia can handle destabilising capital flows as well as the reforms the region needs to put in place. Mr Tharman, who entered politics in 2001 after an illustrious career at the Monetary Authority of Singapore, was appointed Finance Minister in 2007. Last year, he was named Finance Minister of the Year for Asia by Emerging Markets magazine, also for his work in restructuring Singapore's economy. He is the 34th recipient of Euromoney's annual award and is only the second Singaporean winner, after Mr Hon Sui Sen in 1982. Euromoney's choice is based on the opinions of its senior editors, the world's leading bankers and economists around the world.